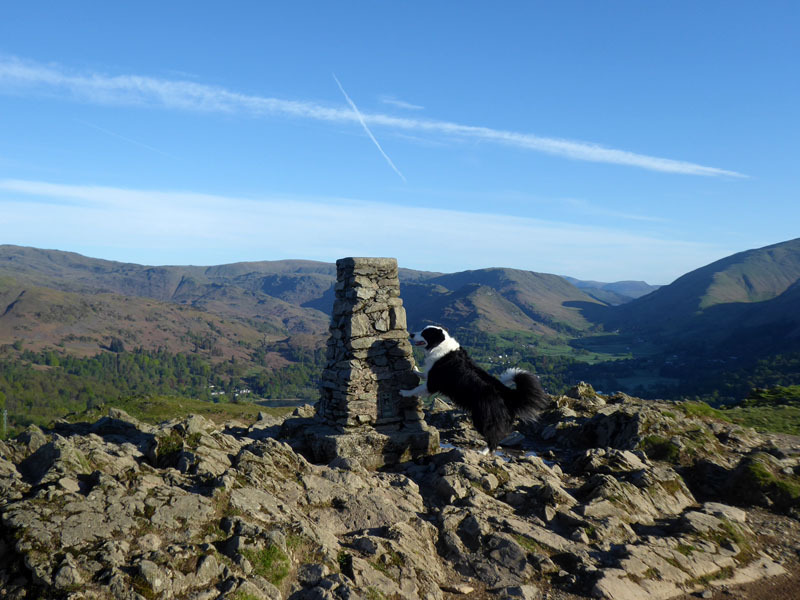 Another cracking day and we've got to make the most of it. 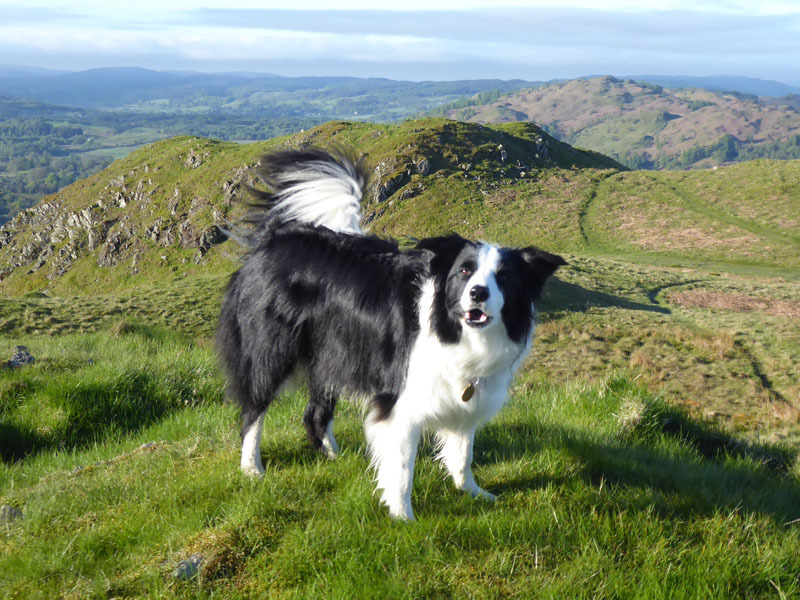 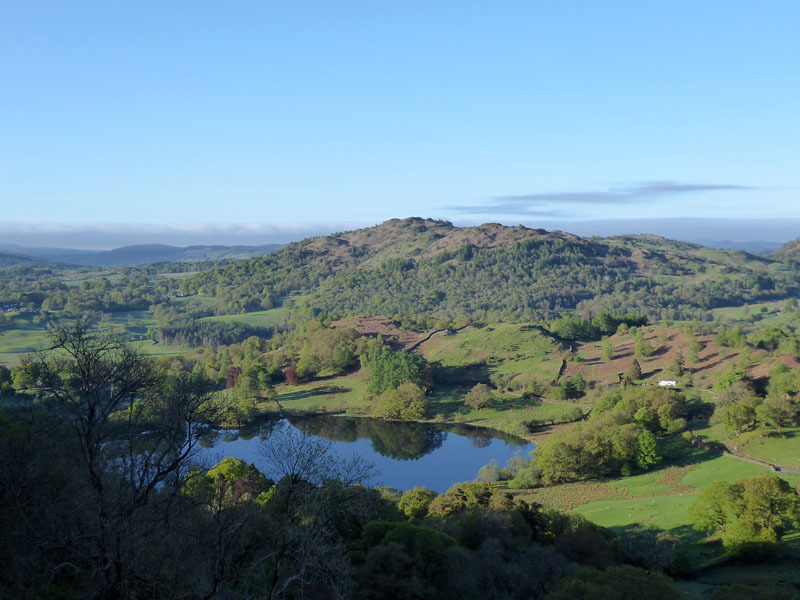 Molly and I make an early start and head up Loughrigg Fell from Intake Wood, just north-west of Loughrigg Tarn. 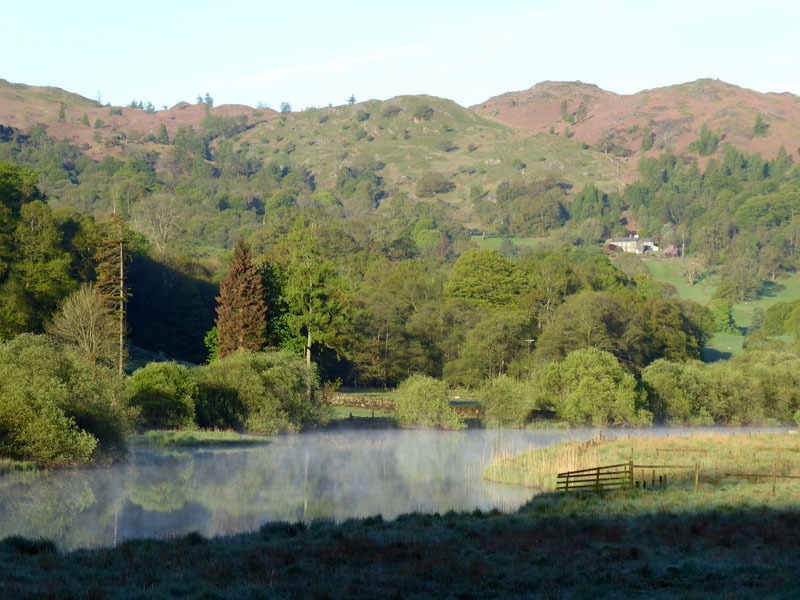 The still waters of Elterwater encourage the formation of early morning mists. 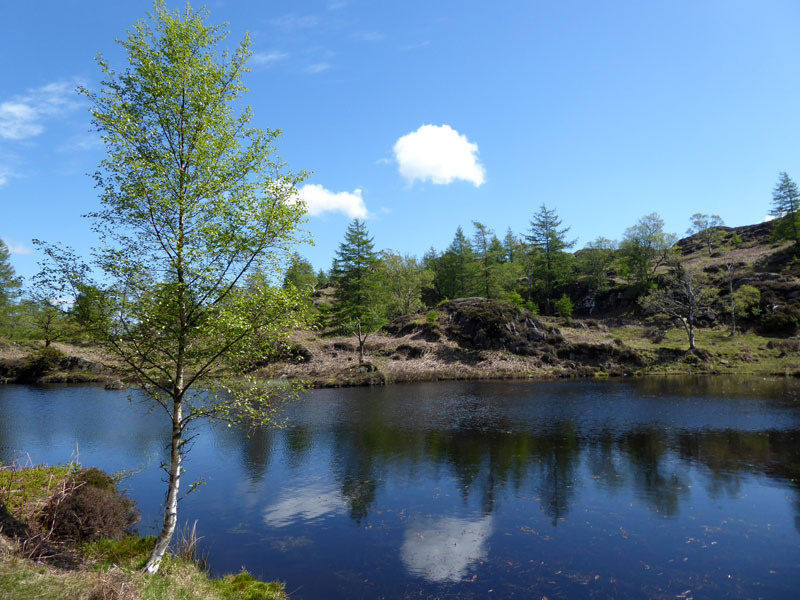 It's 07:10hrs and there's nobody about, it's taken 33 minutes from the car. 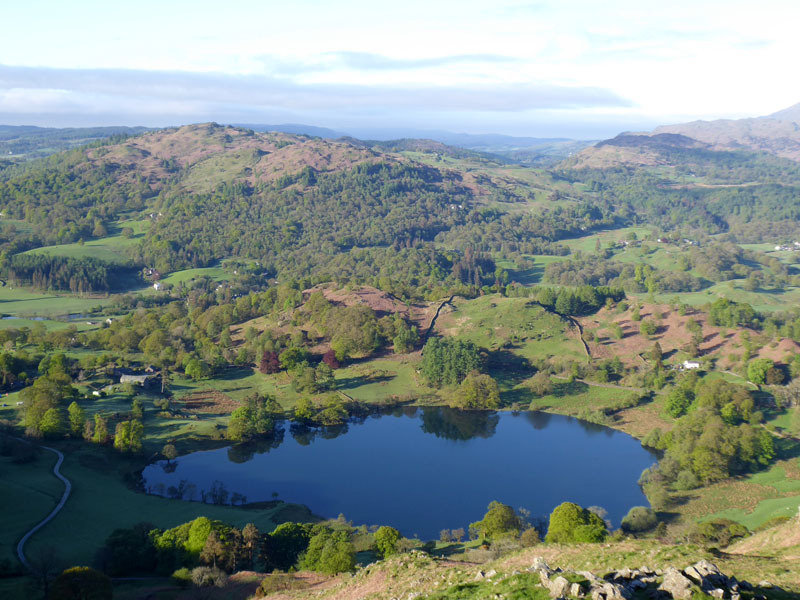 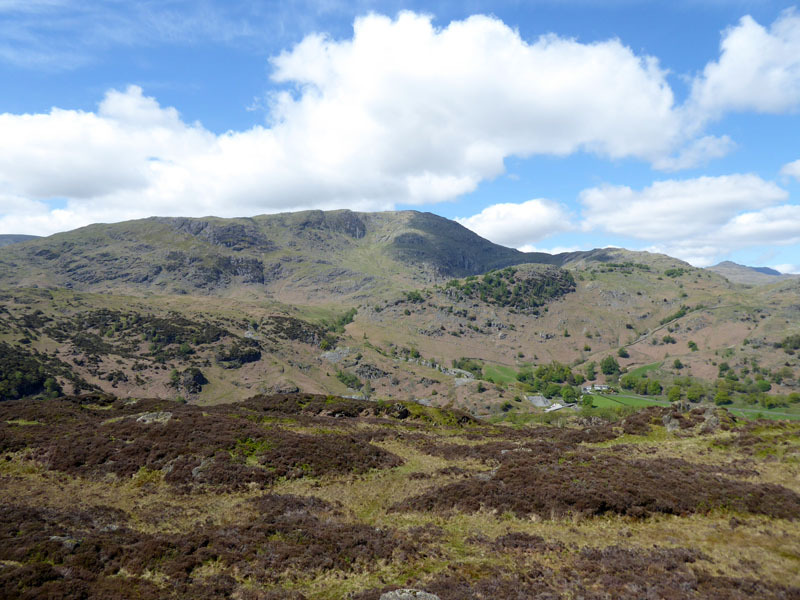 This is a bit of a cheat, Loughrigg Fell is such a beautiful fell and deserves a good half-day's walk from Ambleside or one of the Rydal/Grasmere car parks. 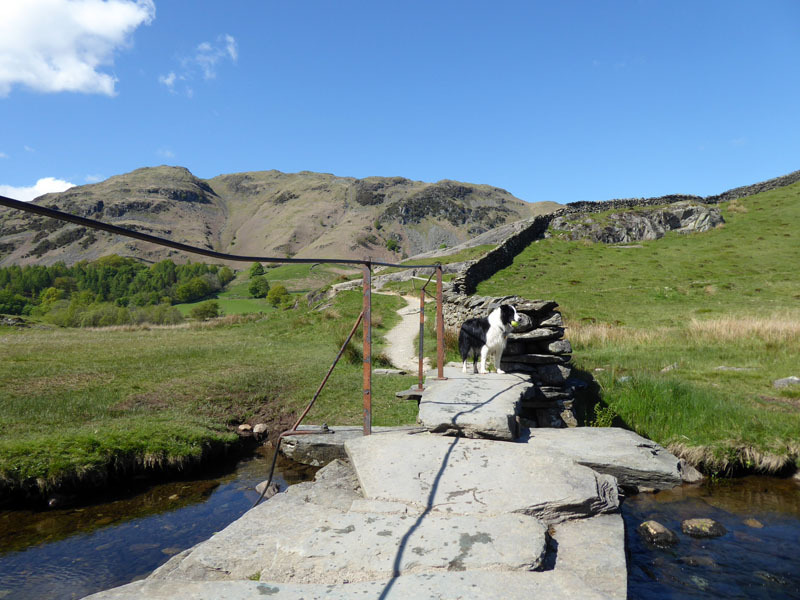 No, we're heading back to the cottage to muster up the troops for a longer walk after breakfast! 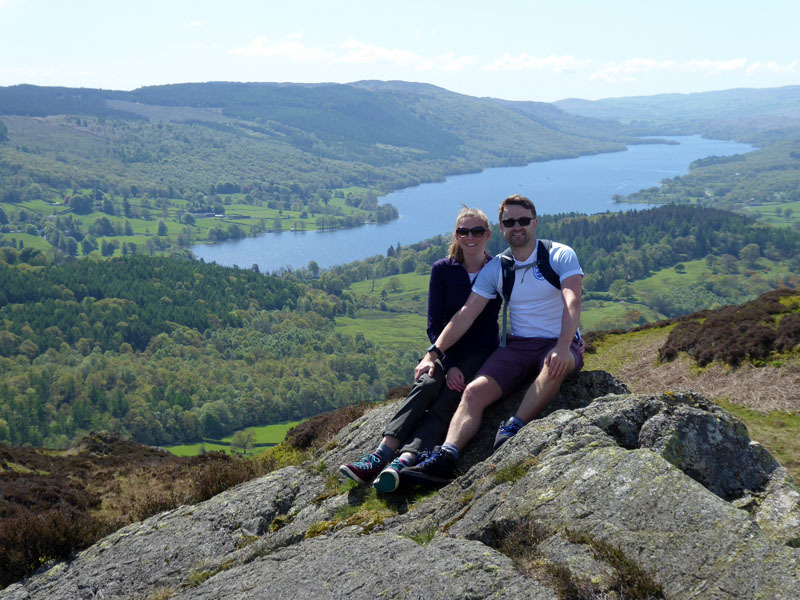 Being as what's it's our Silver Wedding Anniversary this week, I decided to push the boat out and rent a "premium" property for the week. 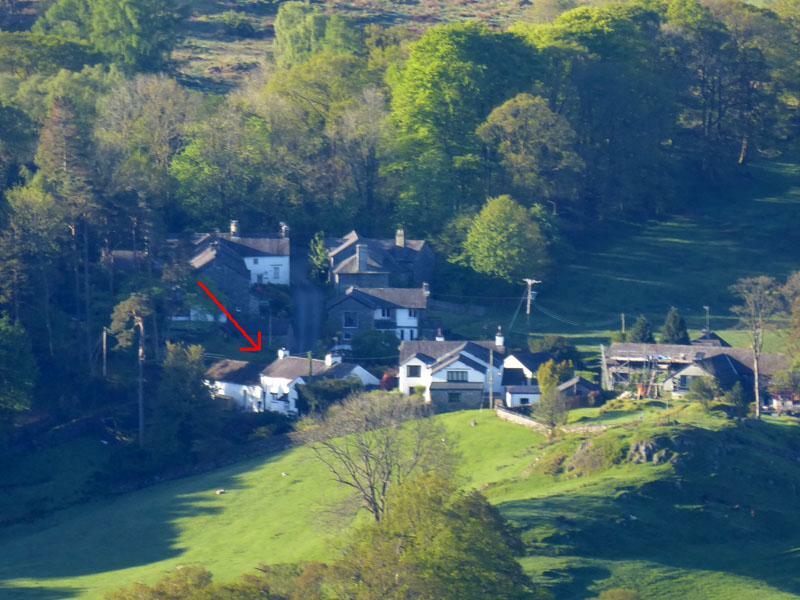 Zoopla states that the average property price in Skelwith Fold is £650,000 ish - the one on the right-hand side of the photo is under renovation and is a stunning location with great views towards the Langdales. 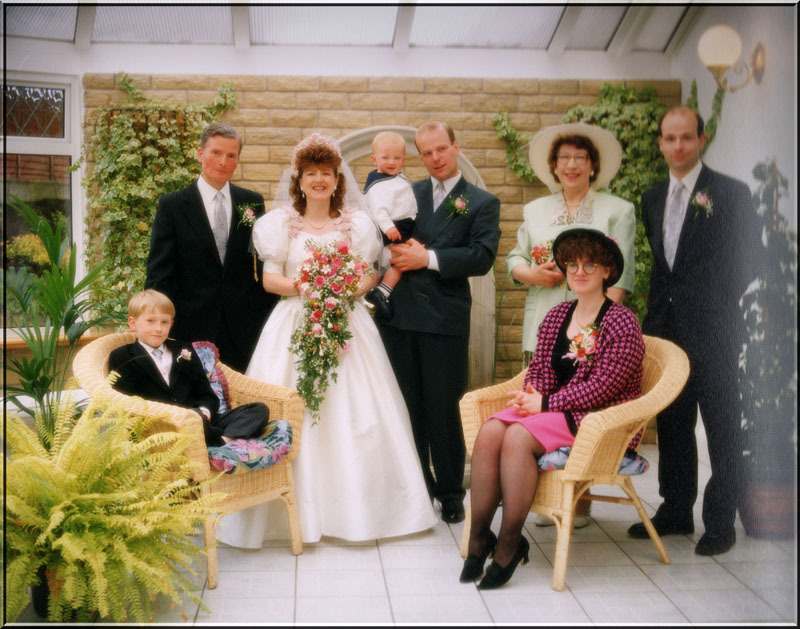 "Have you checked the lottery ticket?..." 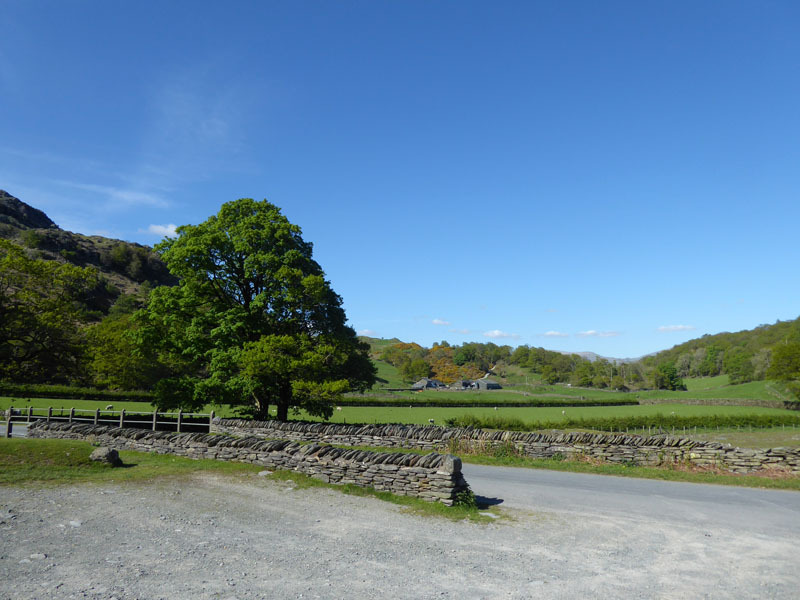 We parked at the quarry at the end of the miners' road, the plan is to climbe Holme Fell and then have a walk through Tilberthwaite to Slater Bridge in Little Langdale. 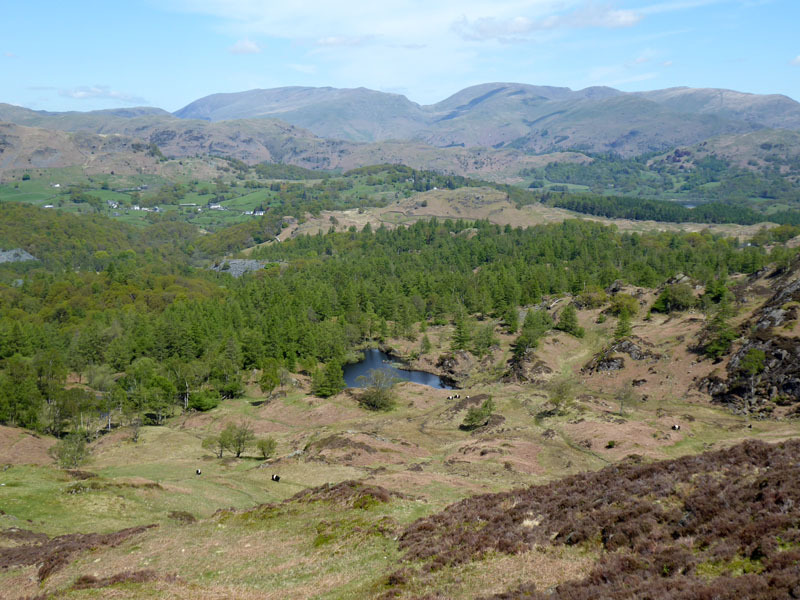 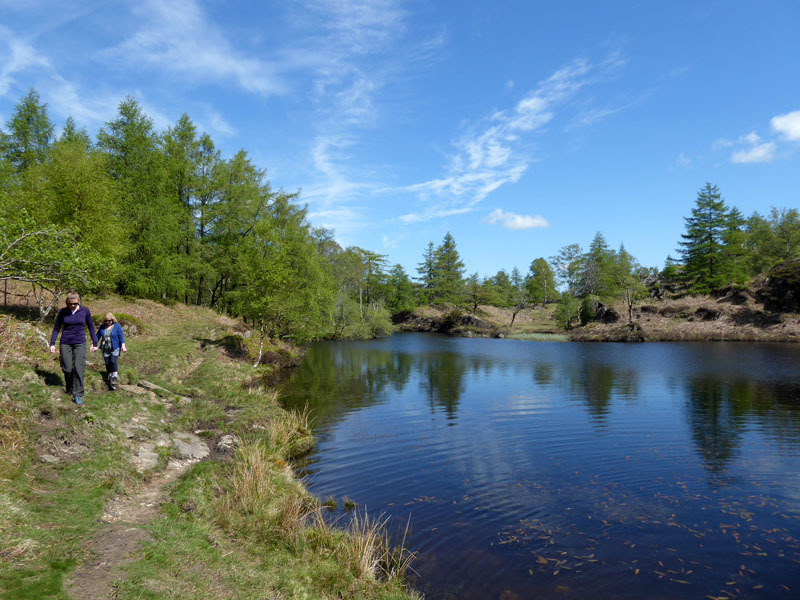 It's a short and simple walk to find the old reservoir on Holme Fell and then follow the paths onto the fell. 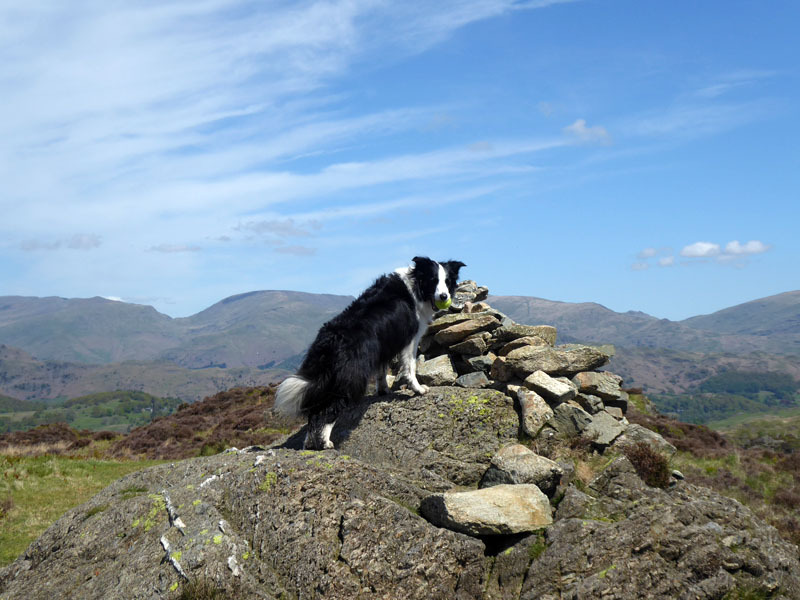 Molly bags another summit and the view back down the fell. 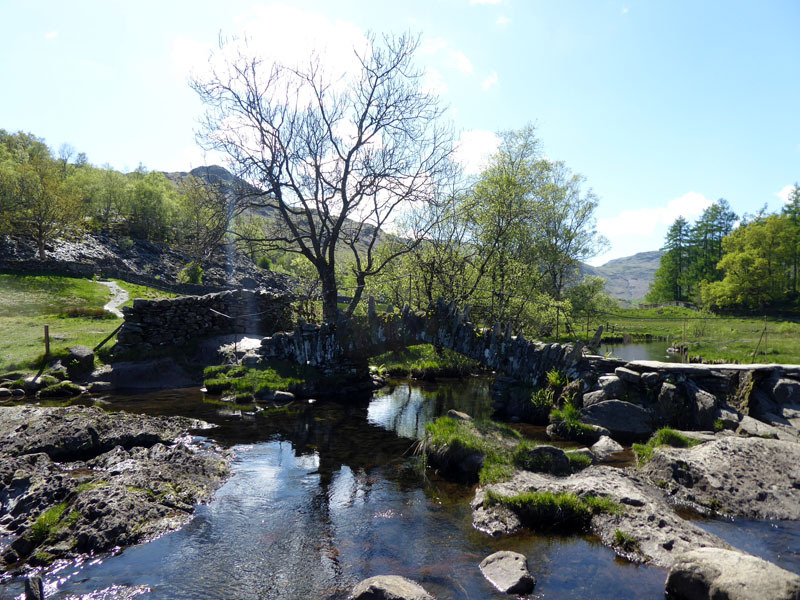 We break the day with a quick drive into Coniston for fresh supplies and then drive back up the other road to Tilberthwaite for a walk down to Slater's Bridge. 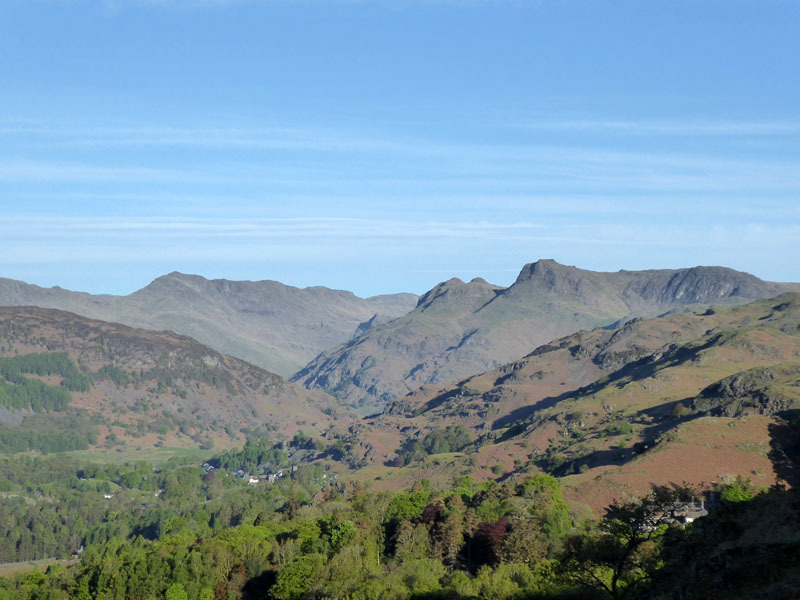 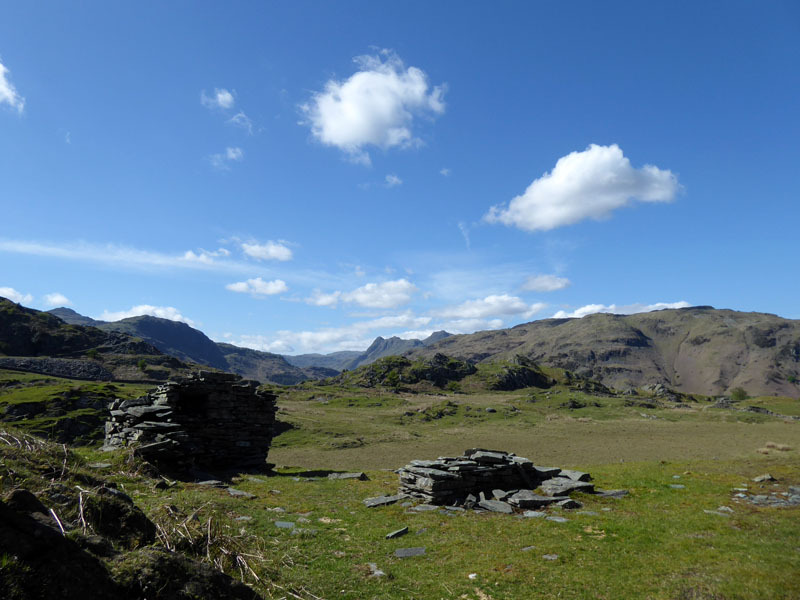 A 45 minute walk down the road / track towards Little Langdale. 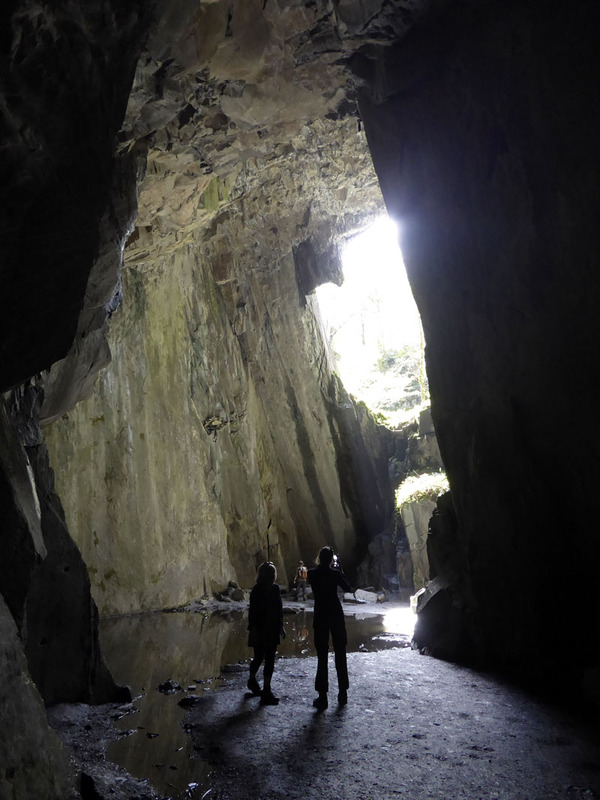 in Cathedral Cave, one of the many disused quarries in the area. 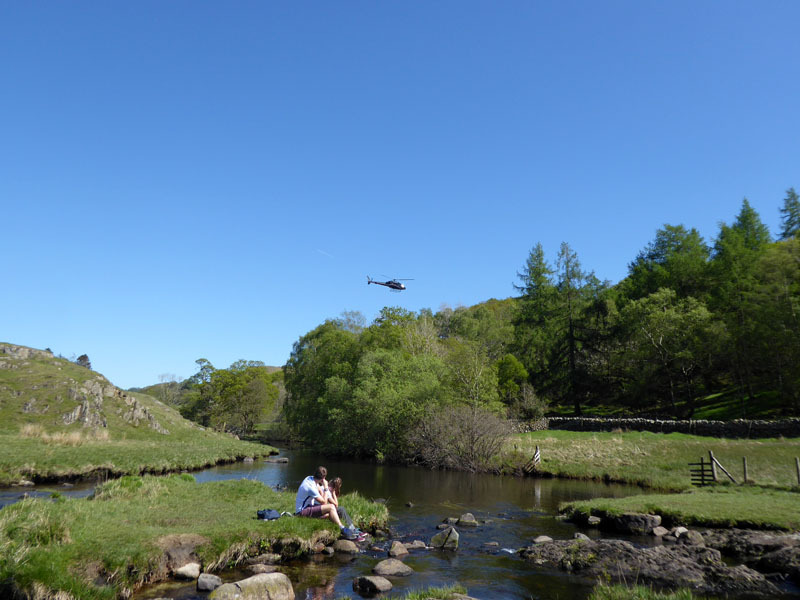 A helicopter takes off from the mining area just above the narrow entrance to Cathedral Cave. 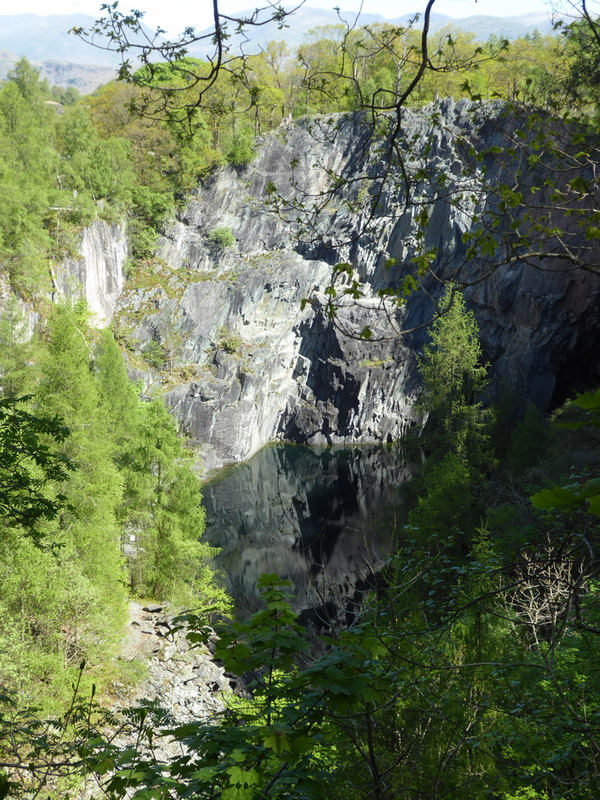 If I understood the chap correctly, they had been checking the safety of the quarry territory. 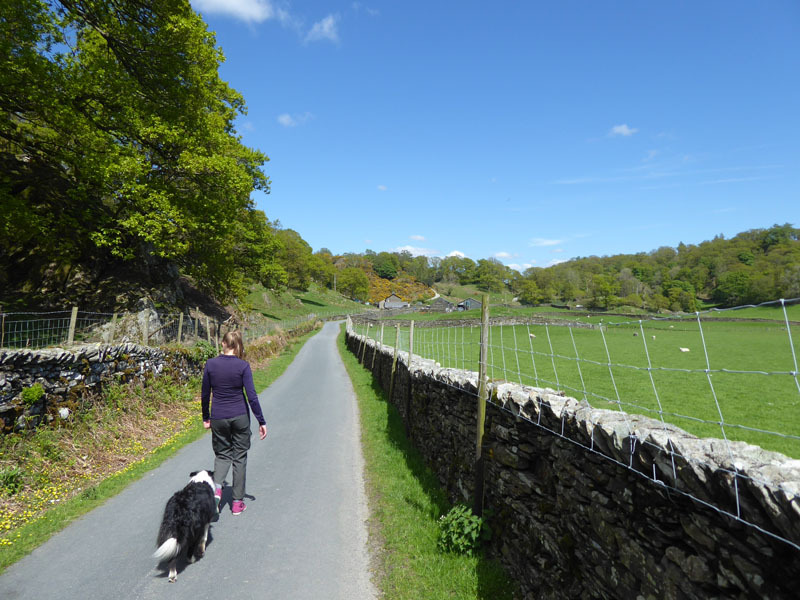 We walked back on a higher route to take in the wider views and enjoy the afternoon sunshine. 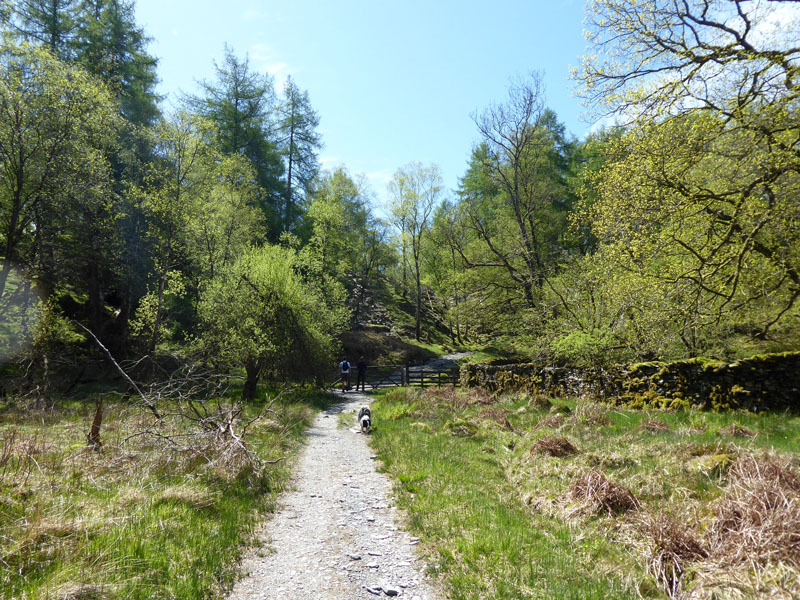 Walkers: Karen, Molly and Me with Gary & Aimee.